This Friday, Seattle death grinders THEORIES – featuring within its ranks members of Samothrace, Black Breath, Skarp, Book Of Black Earth, and more – will unleash their anticipated new full-length, Vessel. Recorded and mixed by Andy Patterson (Cult Leader, Gaza, Eagle Twin) at The Boars Nest in Salt Lake City, Utah, and mastered by Dave Otero (Primitive Man, Cephalic Carnage, Cattle Decapitation) at Flatline Audio in Denver, Colorado, Vessel is raw, grimy, and absolutely punishing; the sound THEORIES has been striving for since their inception. Hear Vessel exclusively at Revolver at THIS LOCATION. 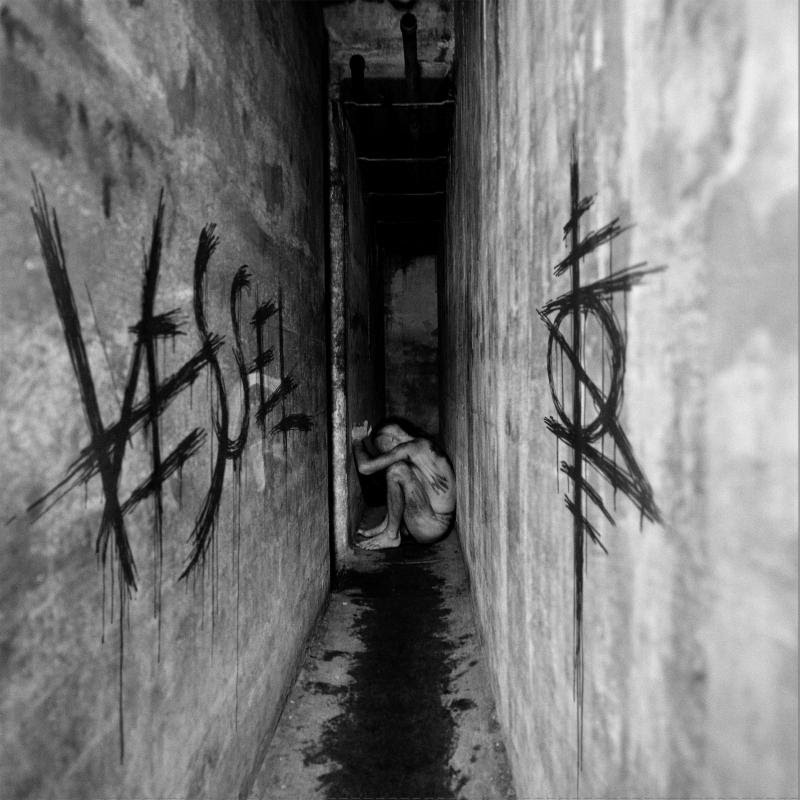 Vessel will be released on CD, digital, and vinyl formats via Corpse Flower Records. For preorders visit the Corpse Flower Bandcamp page at THIS LOCATION. THEORIES will take to the streets next month in support of Vessel beginning with a headlining tour leading up to their performance at this year’s edition of Maryland Deathfest. The Maintain Direct Eye Contact Tour will begin May 10th in Kennewick, Washington and wind its way through over a dozen cities, making its final descent upon Baltimore, Maryland on May 26th. From there, the band will march on supporting Neckbeard Deathcamp on the Free Speech In America Tour through June 17th with additional support provided by Wvrm, No Convictions, and Dryad on select shows. See all confirmed dates below. Forged in 2011, THEORIES released their Regression debut in 2015 on Metal Blade, a worthy introduction of Lee McGlothlen’s (Black Breath) caterwauling guitar riffs, Kush Karimi’s nauseating bass attack, and the relentlessly creative drumming of Joe Axler (ex-Samothrace, Skarp, Book Of Black Earth). The band toured extensively, appearing at Maryland Deathfest and Southwest Terror Fest, and sharing stages with the likes of Goatwhore, Black Breath, Mutilation Rites, Wake, and Ghoul before coming home and refining their sound into something even more intense and inscrutable. After parting ways with their frontman, the band recruited Wes Harrison on second guitar, and created their new three-vocal attack that further adds to the chaos of Vessel, an album that pulls from multiple extremes to carve out its own grisly niche.